Does anyone go to the circus anymore? My theory … at some point we developed a national obsession against clowns. Ask anyone … “Clowns scare me. Clowns are the stuff of nightmares.” Admit it, do you like clowns? 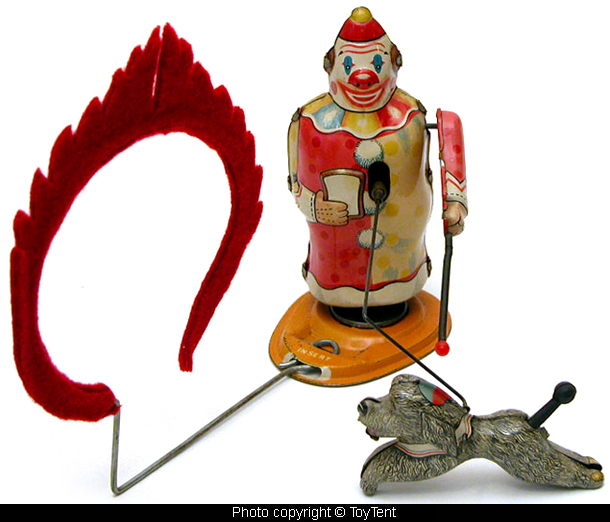 Anyhow, the turn against clowns is behind my theory on why we do not attend the circus more. Of course animal rights, insurance premiums and a thousand channels on our televisions also hinder the circus these days. Why this talk of attending the circus? 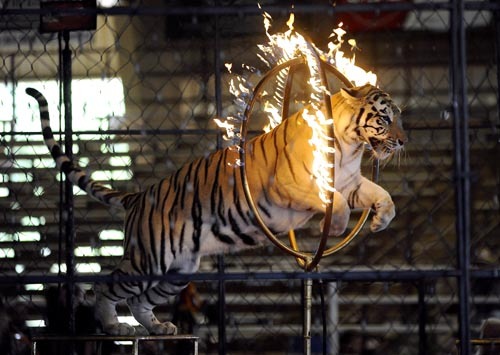 For today’s leadership post I want to use the image of another act at the circus – the flaming hoops. You remember. There is a series of hoops standing off the ground. An animal, lets say a poodle, leaps from a stand through the hoops to the stand on the far side. The animal starts with one and moves up to several hoops. Of course, while a nice trick, it is not enough. The animal trainer then sets the hoops on fire and the poor poodle leaps yet again through the hoops. A dangerous act, but the determined pooch does make it. Let’s take this image and return to the workplace. Have you ever worked for someone who asked you to jump through a series of flaming hoops? I have and it was one of the best experiences of my management career. While I did get singed by some flames, I did indeed survive and I am a better leader for it. My story … I was a department operations manager some years ago. The Vice President over the department was looking for a new Director to run the unit. He made it clear that he wanted fresh blood from the outside and he looked high and far. After months of his search, I approached him and told him that he had the best candidate right under his nose … me. To his credit he did not throw me out of his office or otherwise shut me down. He asked me why I was the person for the job. We sat down and I told him. He then did something interesting. He told me that we will continue our dialogue for a month on my qualifications and ability to get the job done. Over the month he wanted me to write-up a daily short list, share it with him and then each day before I leave I was to send him a detailed write-up on each task and what I accomplished, pushed forward or simply where I missed the target. Items on the short list were not to be the regular work items. I was to push myself on projects, process design & improvement, and staff development. I was the poodle and the series of flaming hoops awaited. While I appreciated the daily dialogue with the Vice President concerning my short list, three was another remarkable element of the process. The Vice President did the same in return – he wrote up his short list and shared with me. At the end of each day he reported back to me on his accomplishments and yes, misses. While I was ultimately successful, it was not easy. I did push myself hard and did not hit the mark on each task. Yet I learned and adapted. I was a better manager and leader from the experience. I got the job. Also there is a lesson from the perspective of the Vice President. He took the time to re-evaluate my ability. He set up a tough, but fair process to complete his evaluation. He did not ask me to do something he would not also do. He actively participated in the same process. Yes, it was a competition of sorts, yet is that not reality too? He then stood up and told his superiors that he found the right person and he was here all along. It was a great example of leadership. I may have started as a small poodle crazy enough to jump through any flaming hoop set before me. I emerged though stronger on the other end. Do not fear your flaming hoops; seek them out. Great piece! Very revealing about going after what you want and another not noticing what was right in front of them and ending up practicing what they preached by applying it also to themselves…who was the leader and who really lead who…I say both!